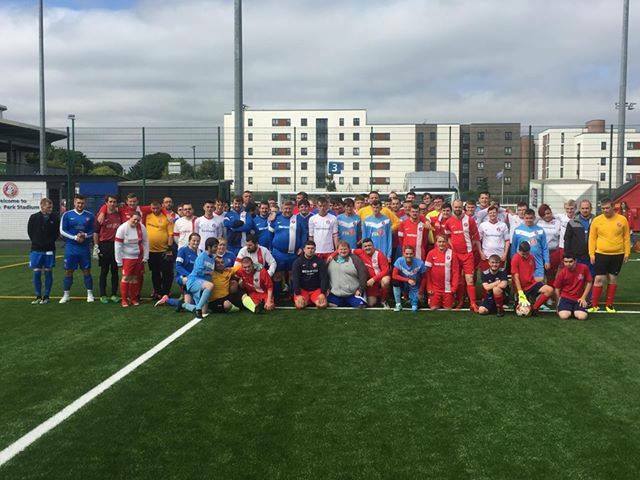 Sunday saw teams from Spartans Connections FC and Claremont Colts East Kilbride compete for the annual Central Taxis Edinburgh Trophy. The tournament saw 6 teams from Spartans and 2 from Claremont come together with the East Kilbride side coming out on top 7v2 in the final against Spartans Youth. Fortunately for Spartans Youth, Central’s own Dean Hunter is too old to play for them or the margin could have been greater! 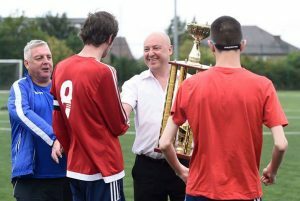 Central’s Chairman Tony Kenmuir was on hand to present the trophy to the victorious Colts. Spartans Connections FC is the Para football section of Spartans F.C. and welcome players who have a wide range of disabilities including physical and learning difficulties and mental health challenges. Central Taxis are delighted to be able to assist them in their aim of providing skill and fitness focused training for both adults and youths.